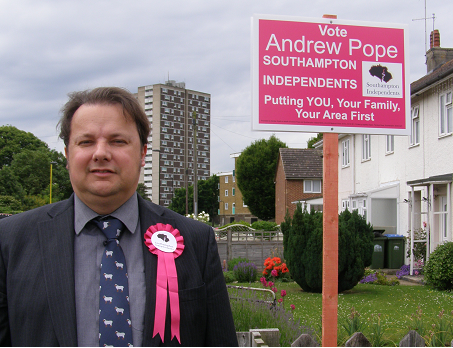 Since the fire at Redbridge Towers in April 2017, Southampton Independents have been campaigning for better fire safety in Southampton City Council's tower blocks. As shown on this website, Southampton Independents successfully pressured the Council into agreeing to install sprinklers in all Council tower blocks. As shown on this website, Labour's Housing Cabinet Member Councillor Payne said residents didn't want sprinklers and the Council couldn't afford sprinklers. And as shown on this website, Southampton Independents have conducted our own assessments of fire safety in Southampton's tower blocks. 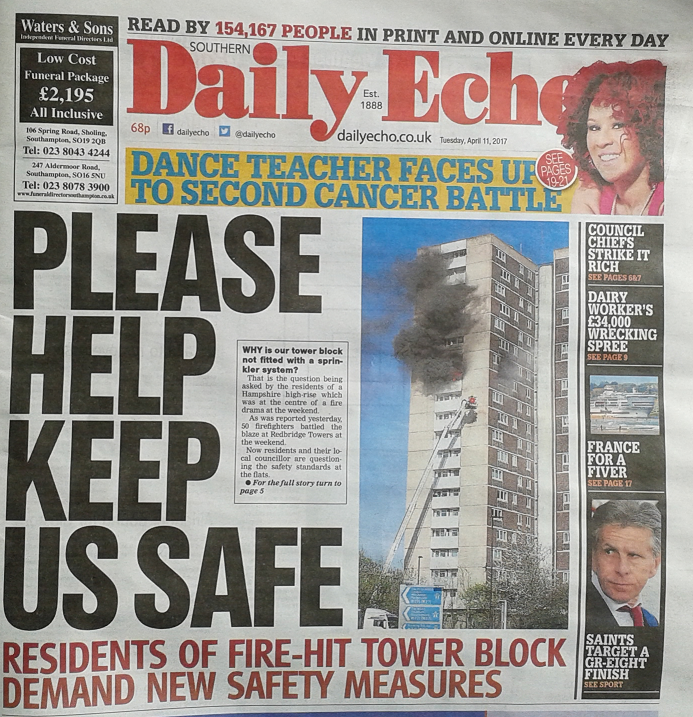 We have our own photos of fire risks in tower blocks across the City. And we have found the Council have failed to sufficiently protect tower block residents. The Council also has photos of fire risks that they have failed to prevent, in the Fire Risk Assessments of tower blocks. In the public interest, we have provided one of the 3SFire assessments to the media. The Fire Risk Assessment shows the very serious failings in fire safety, including a failure of the compartmentation that is a key feature of tower block fire safety. And you can see that it appears that records of fire safety are not up-to-date, despite the Council telling residents on its website that annual reviews are conducted of the "Category A" buildings like tower blocks. The evidence from the Fire Risk Assessments by 3SFire appears to show that this Council's fire safety is a mess. "This is just one tower block. There are twenty owned by the Council. Residents are being put at risk by the failings of the Labour-run City Council. 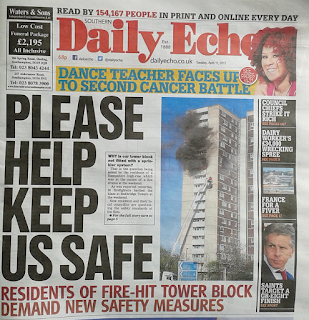 Residents told the Daily Echo back in April that they want to be kept safe. The Council must address all fire risks immediately."